Information: A book and recording. Country Style Square Dances recorded by Bing Crosby. 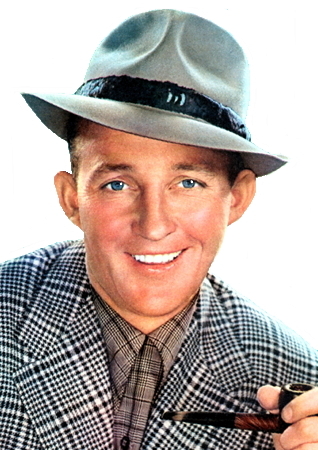 Allan Brozek wrote: Bing Crosby does the calling in "Welcome Stranger." Texas Star again. I think that Bing also recorded an album of square dances. Anybody know for sure? A recording of his calling from the movie "Welcome Stranger." It's entitled "Country Style." From Decca (23849A). It says it's from the "Personality Series." A 1949 booklet of singing calls from Edwin H. Morris and Company in New York called "Bing Crosby's Country Style Square Dances." With Dance Calls and Directions by Grace Whitehead. It's obviously part of a series which just, I suspect, bought the rights to use Bing Crosby's name. I think this because on the back cover it lists 14 other publications such as Bing Crosby's Pick of Popular Songs, B. Crosby's Western Song Folio, BC's Favorite Hymns, BC's Irish Song Collection, etc.